The weekend is approaching and there&apos;s lots to do in Athens! Start off early Saturday morning with bugs, bees and more at the 22nd Annual Insectival! For you music lovers, don&apos;t miss Athens Intensified going on throughout the weekend. Sports fans, cheer on the lady bulldogs in volleyball and soccer. And, for you readers, local author Patrick Garbin will be signing copies of his new book, Athens, on Friday evening. Saturday, 9:30 a.m. - 12:30 p.m. The event will feature educational games, discovery stations, roach races, an active beehive and an insect tasting. The popular butterfly release will take place at 11 a.m. on the lawn of the International Garden. Garden volunteer Ann Blum has compiled 18 educational puppet shows that she has written for the annual festival. Tickets are $5 per person or a maximum of $20 per family. Children under the age of two are free. Pre-registration is not required. Athens Intensified was founded in 2012 as a way to host a hand-curated, artist-driven music event in and for the city of Athens, GA. Now in it&apos;s third year, the map of the event has grown from two nights at a single venue to four nights at five venues spread across two weekends. Former headliners include noted legendary psych pioneers Silver Apples and former bassist for The Smiths Andy Rourke. The football team may be away this week but that doesn&apos;t mean there is nothing going on in Athens! This weekend, catch two days of top action including Volleyball: Benson Hospitality Invitational and the UGA women&apos;s soccer team vs. Mercer. Friday, 6:30 - 7:30 p.m.
Local UGA football history buff Patrick Garbin has lived in the Athens area his entire life. Through more than 160 images from nearly 20 different sources, the author captures his hometown&apos;s progress from the 1960s to present day in Athens, the latest addition to Arcadia Publishing&apos;s new Images of Modern America series. Join this tour to hear of the history and stories of five delightful and very different neighborhood parks-how they came into being, how they developed and are used, and how partnerships maintain them. 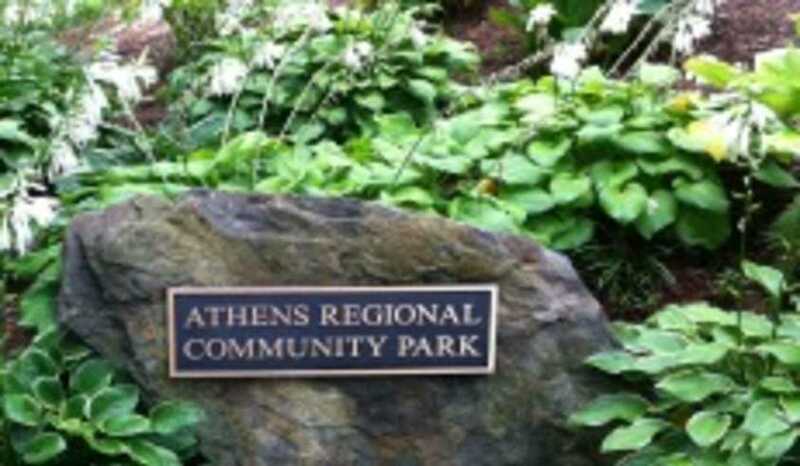 Parks to visit include the Wilcox Triangle, Hodgson-Dodd, Athens Regional Community Park, Boulevard Woods, and Piedmont-Cobbham Park.